If you use Gerrit code review and repository management for Git, you’ll love our Gerrit Workflow. We’ve simplified the process of creating a continuously deliverable product. 100% free, now, it’s a breeze to instantly fetch changes and switch between multiple feature and stable branches. Installable separably from the Webclipse suite, learn how tools like Gerrit Workflow in Webclipse provide great power for free each month. Use change branches to avoid dependencies between commits. Create a change branch every time you start working on a bug fix or a small feature. Set up a target stable branch and use Push to Upstream. 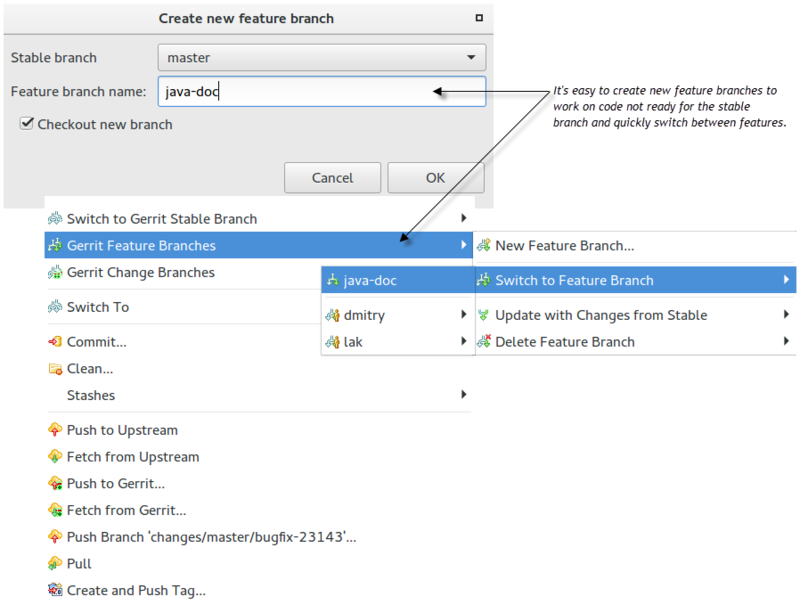 Use feature branches to keep work on new features out of the stable branch until the code matures enough. 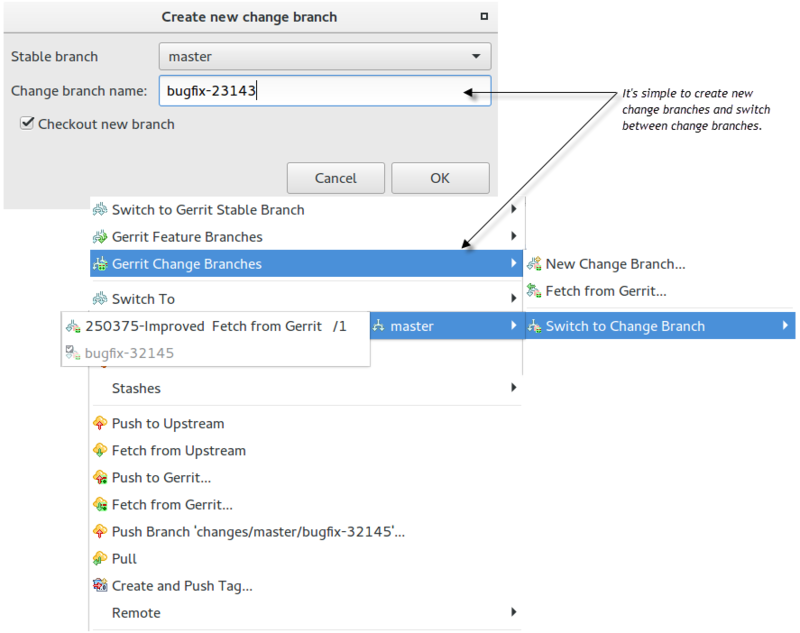 Create a new feature branch for each new feature and enjoy using Push to Upstream. If you use Gerrit Workflow to switch between branches, the repository is always correctly configured to push upstream. Bye, bye Push to Gerrit, welcome Commit and Push. We’ve simplified the process of downloading code changes. Just select a change you want from the list of open changes and choose the patchset version. 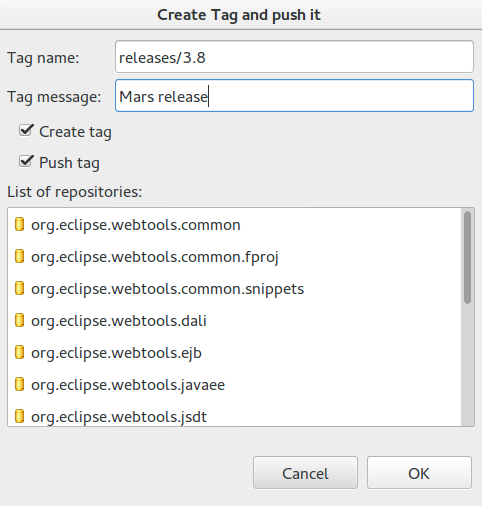 Use this Gerrit Workflow option as a great way to tag multiple repositories at once. By adding the following code below to your website you will be able to add an install button for Gerrit Workflow for Eclipse.